Faith is one of the most powerful causes for Earthly happiness as well as for salvation in the Hereafter. We can attain happiness through our worship of Allah and through our faith itself. Seeking closeness to Allah through obedience and through fulfilling our religious duties instills happiness in the heart that must be experienced to be understood. 1. We can find happiness in carrying out our religious duties and in our voluntary worship. We can, through worship, attain Allah’s increased love for us. If Allah loves you, then you have nothing to fear. 2. We can find happiness in the remembrance of Allah. These were hours in which he would devote himself exclusively to his Lord. 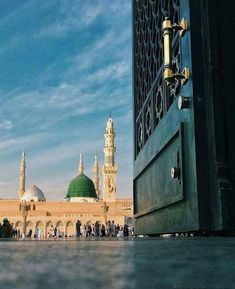 He would beseech Him sincerely, supplicate to Him, seek His forgiveness, and entreat Him in humility, while tears of regret flowed from his eyes. Afterwards, his heart would be fully cleansed by this worship and his life his soul, and every fiber of his being would be invigorated. His mind and heart would be refreshed. 3. We can find happiness in the Qur’ân. The Qur’ân is indeed a source of healing for the afflictions of the soul and the distresses of the heart. It is even a cure for the sicknesses of the body. 4. We can find happiness in the performance of all kinds of righteous deeds. Likewise, some of the poisonous effects of the Hell that is promised to the iniquitous reach their hearts in this world, blackening their lives until they can find no pleasure or solace in their wealth, their families, their rest, their youth, or their health. 5. We can find happiness in prayer. We often find that speaking to someone who is dear to us – even about the most mundane of matters – can make us very happy. How much greater can the experience of happiness be when we are speaking to our Lord and worshipping him in humility. When a worshipper knows his Lord, he feels at peace. He sees Allah’s workings in Creation and appreciates the greatness and innovativeness of Allah’s handiwork that is all around him and how it is full of mercy and wisdom. We cannot see our Lord but we can see the effects of His handiwork that proclaim His most excellent names and attributes. There was a CEO of a major American corporation who had attained wealth, power, prestige, and position but felt bitterly unhappy. He would toss and turn in bed at night, unable to sleep. He was impressed to find among the company’s employees a young Muslim man of modest position and salary who was always happy and cheerful. He would eat in peace, sleep in peace, and would come to work and go home smiling. Not once did he see this man with a dark expression on his face. The CEO then asked: “Do you have anything that might guide me or show me the way? There was a western author who went to live among the Arab desert dwellers. He adopted their dress, ate their food, and bought a small herd of sheep to take care of. He wrote a book about the Prophet Muhammad entitled The Messenger. This man had lived the western experience and then experienced life among the simplest of Muslims. He was not among scholars or intellectuals. They were desert herdsmen. Those Muslims believe in Allah’s decree and determination of all things. They live there lives with a sense of security. However, they do not stand around doing nothing when tragedy strikes. A great desert sandstorm struck one day and killed many of their sheep. Some were buried alive in the sands. When the storm subsided, I was as distressed as could be; however, the Arabs were running towards one another, calling out to each other, laughing, and singing their traditional songs. They glorified God and said: “Praise be to Allah, 40% of our sheep were spared." When they saw how I had been affected by what happened, they said to me: “Anger and worry produce nothing. This is something written by Allah, decreed and determined by Him.” In spite of this, I found them doing everything in their power to minimize the damage. Once while traveling with them by car, our car stopped suddenly in the middle of the empty desert. One of the tires had burst. I became angry. They said to me: “Anger produces nothing.” The car continued for a while on three tires and then the car stalled again. This time it was because the car had run out of gas. I saw them all get our of the car, leaving it to one side. They continued on by foot in the highest of spirits, moving as sprightly as gazelles. They were happy and content, reciting poetry to one another and conversing with me. The seven years that I spent with them in the desert convinced me that the people stricken with alienation, mental illness, alcoholism, and psychoses found in Europe and America are victims of the western city that has taken haste as a basic principle of life. 3. There are too many people in this world who think they are doing well, but who, in reality, are losing out on this life and the Hereafter, simply because they turn their backs to the true Religion. It is not uncommon to see laborers who are so poor that whatever they earn on any given day is spent on that same day. Yet many of them are happy, peaceful, with strong hearts and tranquil souls. This is because they are too busy to think about yesterday or tomorrow. Their life-style has given them an appreciation of today since they have not been afforded the opportunity of thinking about anything else. Compare these to those who live in mansions. Inactivity and free time have afforded them with plentiful time to think about their problems and their lack of purpose in life. Thus misery and worry afflict many of them day and night. "O' Allah, make my house spacious for me." "Verily, Allah is Tayyib (good and pure), and He does not accept other than what is good and pure." 1. A thankful heart and a tongue that is moist with the remembrance of Allah. In them are blessings and rewards." 2. Another ingredient of happiness is the keeping of secrets, especially one's own secrets. Among the Arabs there is a famous story of a Bedouin who was entrusted with a secret for a fee of twenty dinars. At first he remained true to the deal and then suddenly, in a fit of impatience, he went and returned the money he wanted to unburden himself from the load of the secret. This is basically because secrecy requires steadfastness, patience, and willpower. A weakness of man - which is just one of his many weak traits, is that he constantly feels the urge to reveal the details of his personal affairs to others. This sickness is an old one in the annals of history. The soul loves to spread secrets and disseminate stories. The connection between this topic and that of this book is that whoever spreads his secrets will inevitably feel regret, sadness, and misery. Religion & Happiness: Any Relation? Muslims believe that Allah (God) is the Creator and Sustainer of the whole universe and everything in it. He is not the God of Muslims only, but of all the humans on earth. The Quran mentions that before the creation of humans, Allah Almighty told the angels that He wished to appoint a "khalifah" (vicegerent, or ambassador) on earth (see Al-Baqarah 2:30). The word khalifah, in the context, stands for a human endowed with the faculties of reason, logic, imagination, and other creative qualities. Allah Almighty has also bestowed upon humans the freedom of choice and action, enabling them to use their faculties for their welfare. It is these qualities that make humans — not just Muslims, but all humans — the best of God's creatures. The foregoing means that human freedom as envisaged in the Quran is universal — that is, irrespective of people's beliefs or actions. And so it is up to each one of us to believe in God and lead a good life here, or to reject God and lead a bad life. The above verse indicates that God does not want to forcefully impose His religion on humans. Hence the blessings of this world are open to all; and anyone who has the worldly wisdom to adopt the means of achieving material success in this world can achieve it; and Islam or non-Islam has little to do with the process. A point to note here is that "tapping into one's inner self" is an indirect expression for religious contemplation, whether a person acknowledges it as such or not. This process, therefore, is not accessible to persons who have nothing to do with religion. Your life is a very precious gift from God. Count back to one year before your first birthday, and then try to imagine your state - your state of nothingness. You can not. You may be able to contain and grasp "things," not "nothing." You were born and came to life, not because you wanted to, but because you became. Through a decision by an authority higher than you, and through a process that you did not participate in, you came to occupy a place in existence. With the dramatic event of your birth, you came to life with three huge realities. The third reality that comes with the happy event of your birth is a cobweb of expanding circles of relationships. There are many forms and ways to waste a lifetime. With a careful look around you, you can recognize many of them: leading an aimless and purposeless life; abusing your own body, mind and soul; eroding the environment, being shallow and inefficient; all are ways to let the wonderful opportunity that we call life slip away. A life centered on your own self is selfish and never provides fulfillment. Since human beings are interdependent, you will not be happy if surrounded by unhappiness, envy, and animosity. A life that is not dedicated to a higher cause is an elusive quest for unattainable happiness. and a life that is lived in balance. "And do, set thy face steadfastly towards the [one ever-true] faith, turning away from all that is false, in accordance with the natural disposition which God has instilled into humanity.' [for] not to allow any change to corrupt what God has thus created - this is the [purpose of the one] ever-true faith,' but most people know it not." Through integrating these basic realities of life with the message of God and His call to comply to His will - which is manifested in His natural laws of existence in its universality, global humanity and harmony as comprehensive, internal, and external peace - that you can become a Muslim, citizen of the world, mercy to all, guardian of justice, supporter and enjoiner of what is good, opposer of what is evil, and promoter of human dignity for all. Submission to God and following the tradition (sunnah) of the Prophet (peace be upon him), proved to be the keys to Muslim advancement in every field of life. Islam does not regard virtue and happiness as inevitably and permanently in conflict, nor does it look favourably upon that self-indulgent and self-aggrandizing spirituality which shuns the world altogether. Equally, Islam does not commend a quest for material progress without a moral and spiritual dimension; indeed for such progress to bring real happiness it must be rooted in faith and prayer. Islam attaches great importance to man’s reason and other faculties by which he may understand nature and discover the secret of the creation and so affirm and glorify his Creator, God. According to Islam, neither the pursuit of knowledge, science and technology, nor material prosperity, are ends in themselves. They are means to earn the pleasure of God. These means are legitimate as long as they do not conflict with the framework of precepts which the Qur’an proclaims as the proper environment for man’s moral and spiritual improvement. It's complicated. You don't know where to start, you just don't want to miss any minute detail in telling your story. You are trying so hard to remember each and every incident and justify it. Does this sound familiar? This happens to all of us when we have a problem and start spilling it out to our close friends looking for solutions, suggestions, or even just the opportunity to speak about it in a desperate attempt to relieve ourselves from the burden. No matter how careful you are not to miss any details, still you fail to bring the full blown picture to the person to whom you are telling your problem, because simply, that person wasn't there. And no matter how resourceful this person is and no matter how many great solutions he can offer you, still he doesn't own the means to make them work, and even if he does, he can't guarantee that these solutions will work 100%, as he can't foresee the future. .. one of the most basic principles of Islam. Balance, both in spiritual life and in our human existence as creatures plunged into the light and shade of this world. Muslims are a community of the middle way (2:143), which suggests, according to Muhammad Asad, "a call to moderation in every aspect of life". But what is meant by moderation? A dull compromise? A state of mediocrity or half-heartedness? A mere avoidance of difficult choices? Certainly not. Returning again to those verses in the Quran in Surah 39 which urge us to use our reason in validating the truth, we are urged to listen closely to all that is said, and follow the best of it. Certainly, the best of it may often be the position which is most balanced and moderate, but it is not arrived at by a kind of quantitative calculation which finds a mathematical average or apparently equitable compromise irrespective of what is actually just, right and fair, The word 'fair' in English originally meant what is 'fitting' and 'proportionate' and its two modern meanings - 'just' and 'beautiful' - have preserved that connection to its original sense. Moderation and balance are qualitative states which honour what is appropriate and proportionate. The English word comes from Latin modus, 'keeping within due measure', which is related to another word which is also the source of English 'modest'. Etymologically, moderation has the same inherent meaning in English as modesty, a connection which is also truly Islamic. The Prophet himself said that "True modesty is the source of all virtues." He said too that "Every religion has a distinctive feature and the distinctive feature of Islam is modesty." "But, in talking of beauty and praise, the healing powers of nature and the meaning hidden in sticks and stones, have I left out something important? 'What about the "Do's" and "Don'ts" of religion? They have, ultimately, one purpose, and that is to establish harmony, balance, order within the individual personality as also in society; the same harmony, balance and order visible in creation as a whole, maintaining the birds in their flight, turning the growing plant towards the life- giving sun, and bringing the fruit to ripeness on the tree. In the disordered personality and in the disordered society, the "Do's" and "Don'ts" may have to be imposed, but those are conditions under which the equilibrium inherent in creation has already been disturbed, as happens when people forget who they are and where they are going." "Let me, in conclusion, emphasise one of the most basic principles of Islam. Balance, both in spiritual life and in our human existence as creatures plunged into the light and shade of this world. As the Muslim sees it, there is another word for balance, and that is peace. The very word Islam is derived from the Arabic word for peace. 'Where balance is lacking there is conflict and disorder, both outward and inward. 'While it is maintained, men and women are free to turn to God as plants turn to the sun." How we treat our parents can be taken as an indication of how our children will learn to treat us. Obviously, we too hope to become old. If we do not honor our parents, then in keeping with the maxim: “let the punishment fit the crime,” our children will not be dutiful towards us. If we treasure life in the Hereafter, this is an important treasure for us: let us be dutiful towards our parents and win their pleasure. However, if it is this world that we love, still let us try to please them, so that through them our life will be easy and our sustenance plentiful. If we want the mercy of the Most Merciful One, we should be merciful towards those in our house who He has entrusted to us. There are different types of parents, but regardless of how they treat their children, they are still parents. Parents make mistakes too, but that does not decrease their value. While we are still under parental guidance we have to follow what they want, even if it goes against our heart. When we are standing on our own two feet, then we have freedom, but we still have the responsibility to respect our parents. We have to examine the situation, rather than concentrating on our own satisfaction. We have to be kind to our parents, because most of the things they do are for us. Today it is likely that parents are more neglected than in any other period throughout history, even though modern life has provided us with more and more comforts. The part of a hadith which says, “Were it not for the elderly with their bent backs, calamities would descend on you in floods,” makes clear that a family’s source of abundance is the elderly among it, and it is the elderly who preserve the family from the visitation of calamities. Since the weakness and powerlessness of old age are the means of attracting Divine mercy to this extent; since the wise Qur’an through the verses – Should one of them, or both, attain old age in your lifetime, do not say ‘Ugh!’ to them (as an indication of complaint or impatience), nor push them away; and always address them in gracious words. Lower to them the wing of humility out of mercy, and say: “My Lord, have mercy on them even as they cared for me in childhood (Isra 17: 23–24),” calls children, in the most wonderfully eloquent fashion, in five ways to be kind and respectful towards their elderly parents; since the religion of Islam orders respect and compassion towards the elderly; since human nature also requires respect and compassion towards the elderly we elderly people certainly enjoy, in place of the temporary physical pleasures roused by appetites of youth, substantial, continual mercy and respect from Divine grace and human innate feelings of tenderness, and the contentment of spirit that arises from such respect and compassion. But what are the main keys of happiness in Islam? What to you find are the factors that lead to a happy life? The only key for happiness is in "PATIENCE". Thats is why Quran says "Be patient and establish prayers". And you will see how satisfied you will be with inner peace. Look at your Prayer as a lifebelt or a lifeline that connects you, five times a day, to the reality, to the source of peace, to the way to find your real self, and improve. The Prophet (peace be upon him) told us that Prayer keeps us away from sin. That doesn't mean we will never make mistakes, but it means that Prayer helps our hearts to be sensitive to what is right and wrong, and when we say or do something wrong, we feel it and have the desire to redress it and seek forgiveness. Again, when we do something right, our hearts feel at peace, and we experience a sense of lightness and tranquility—something very special, called happiness. People search for happiness in life in many, often bizarre, ways, but they rarely find it. Indeed, happiness is found within the heart through obeying and loving the Almighty and being close to Him.